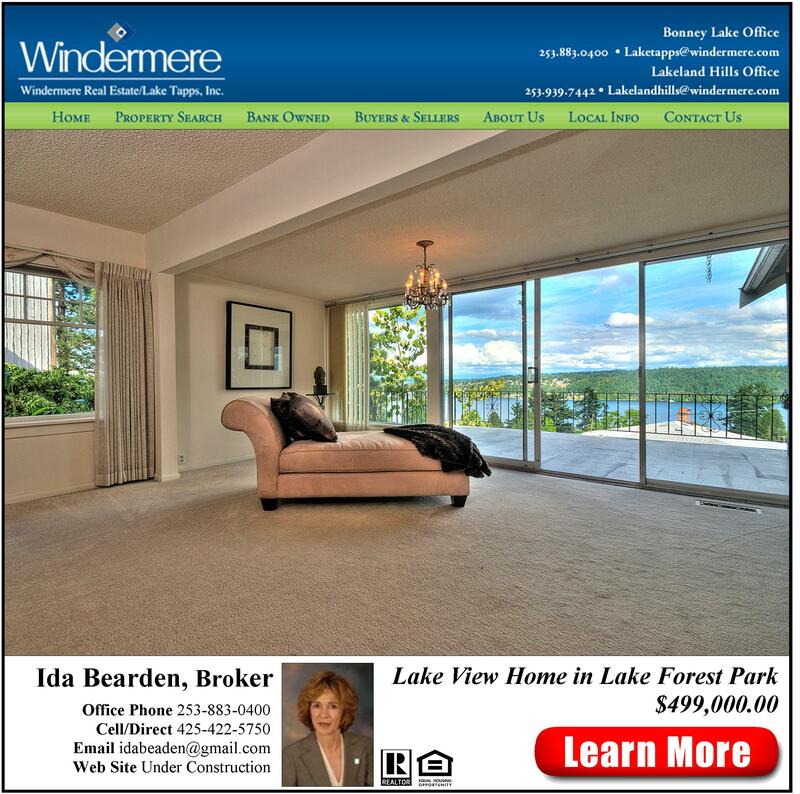 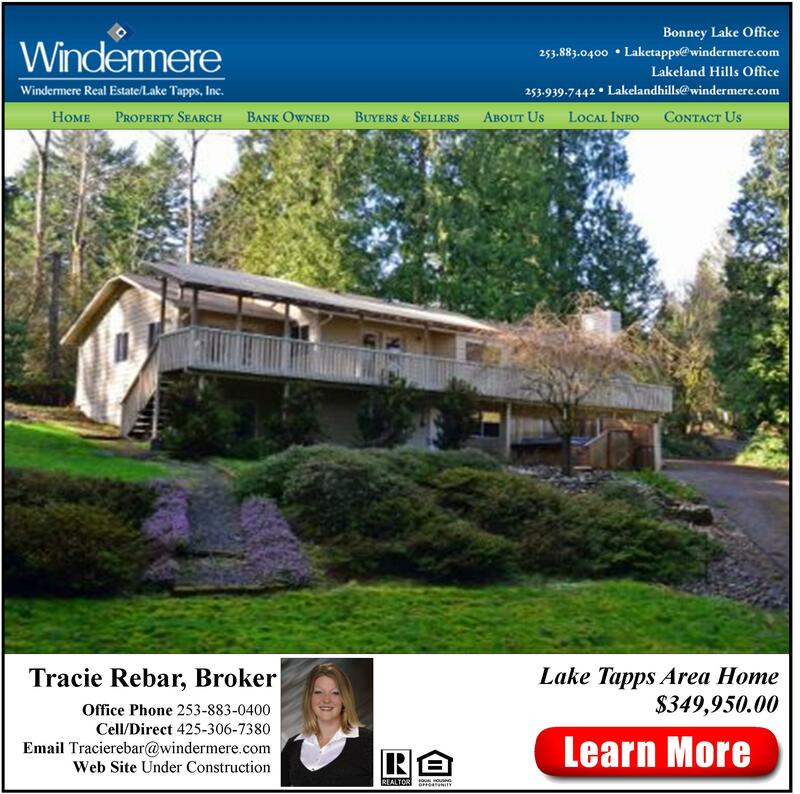 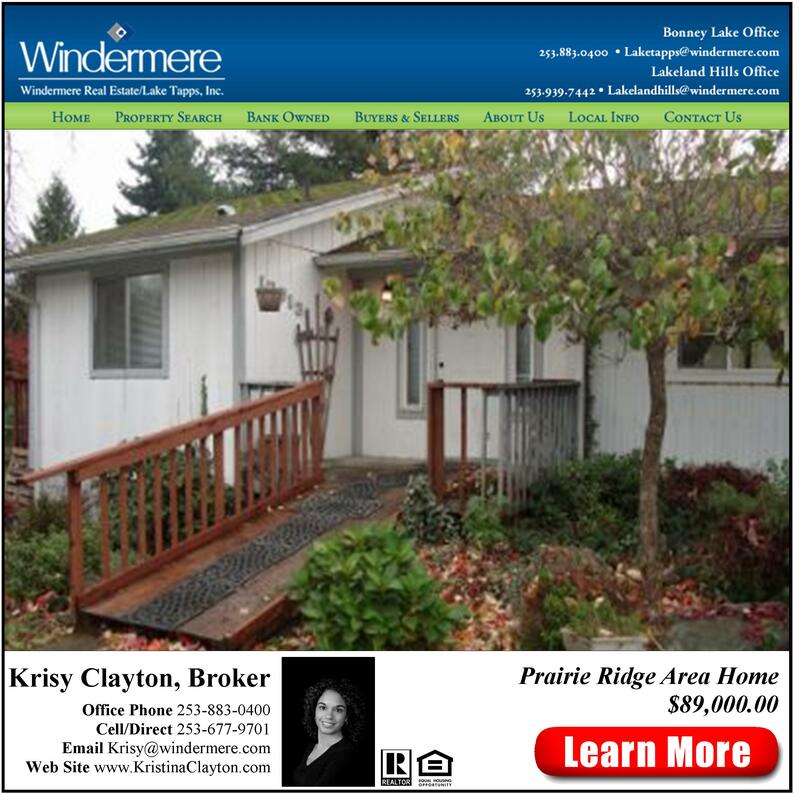 Our focus is bringing excellent service to Lake Tapps buyers and sellers. 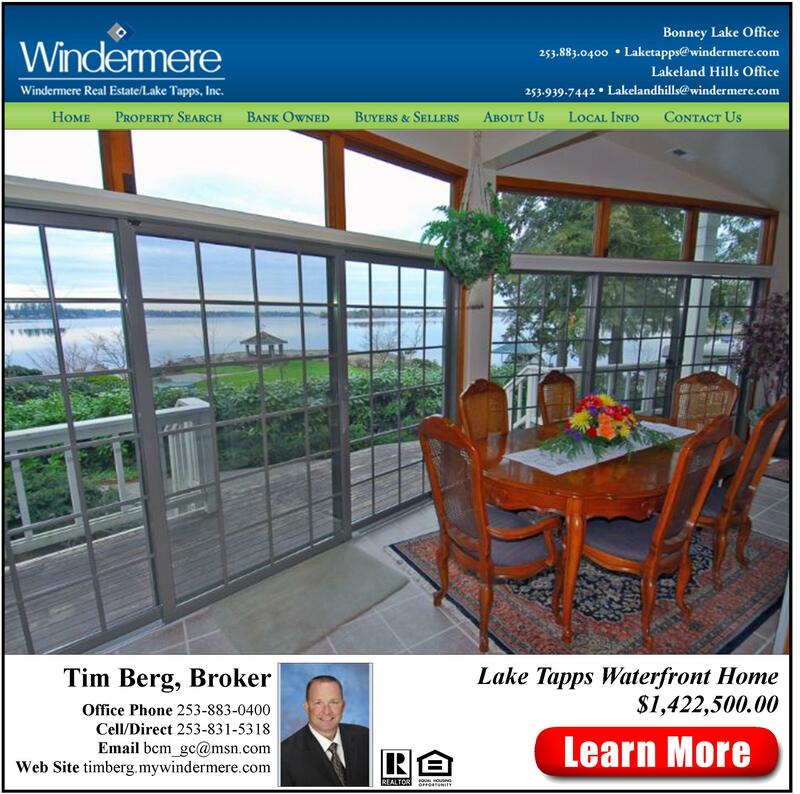 We have experience in Lake Tapps Bank Owned homes, Bonney Lake short sales and Lake Tapps Homes for Sale including the surrounding areas. 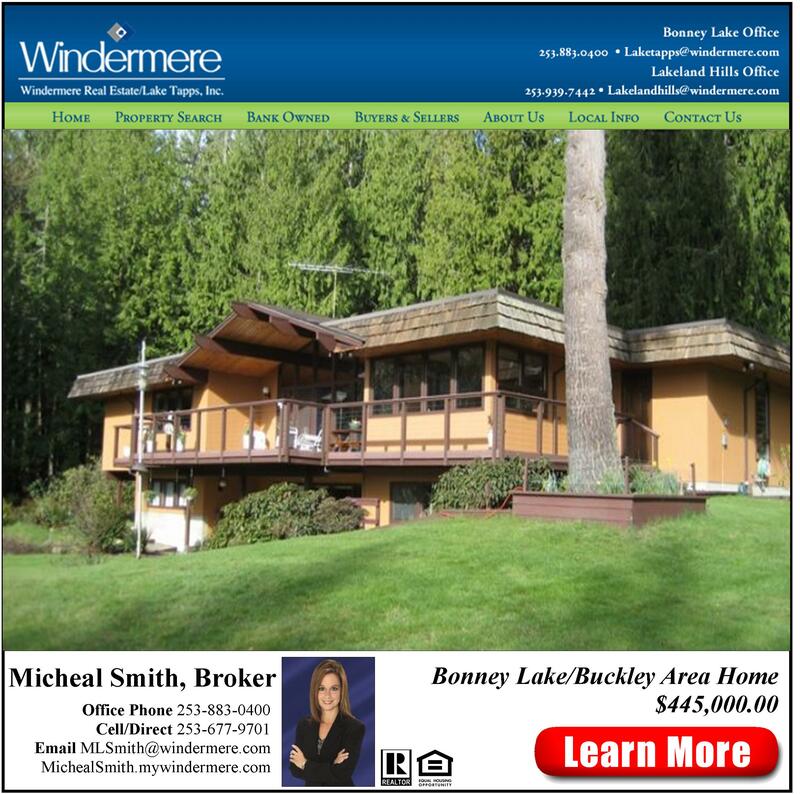 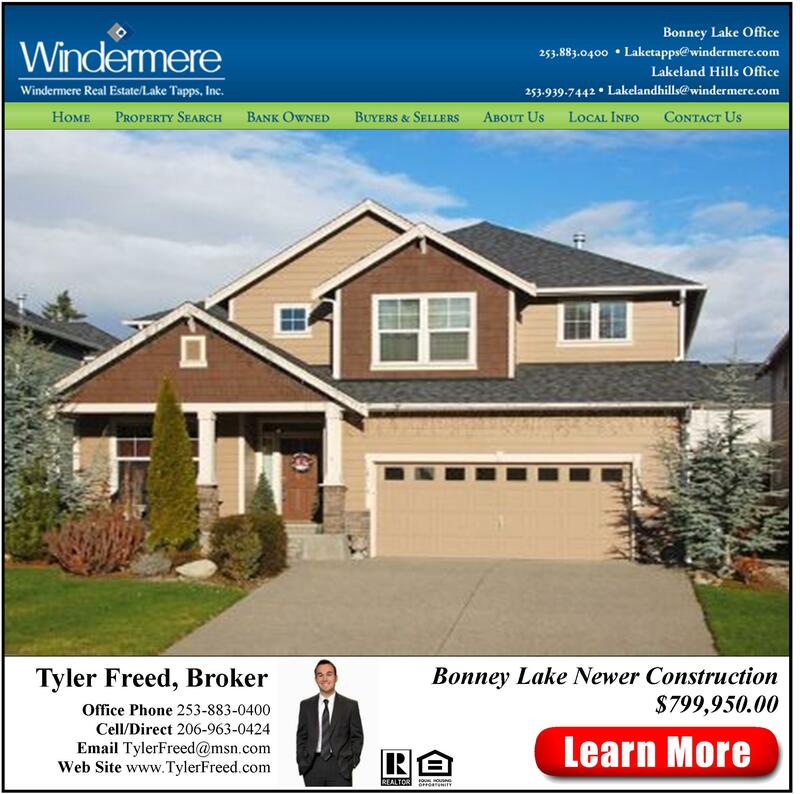 Our Bonney Lake Real Estate Brokers cover a wide area to serve our great Buyers and Sellers…From the King and Pierce County communities of: Auburn, Bonney Lake, Buckley, Federal Way, Graham, Kent, Lakeland Hills, Orting, Puyallup, Renton, Seattle, Sumner and Tacoma. 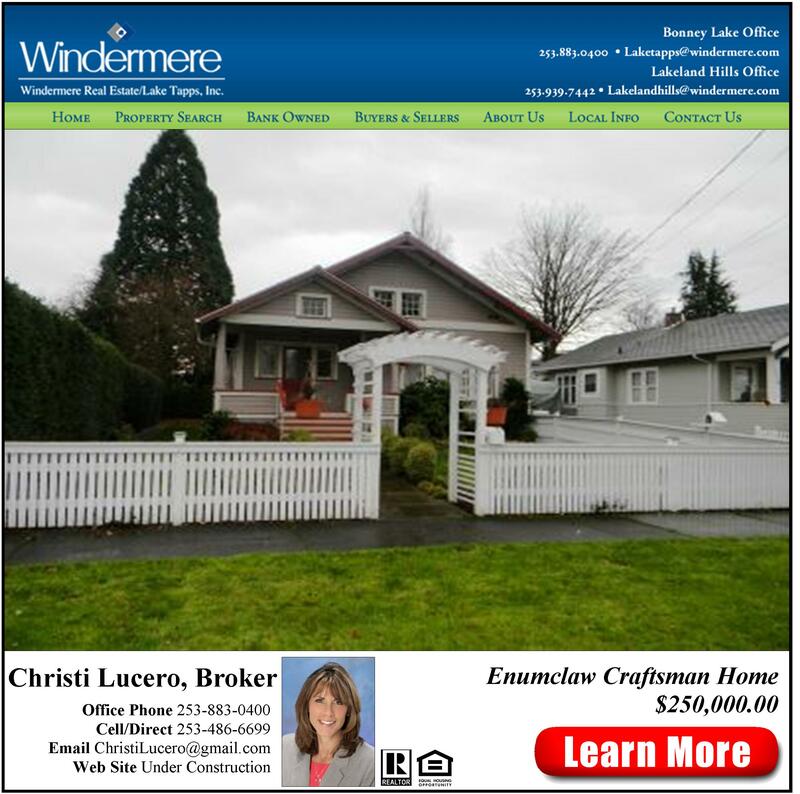 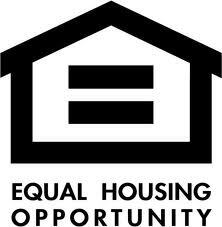 We offer direct access to the latest properties for sale in your area. 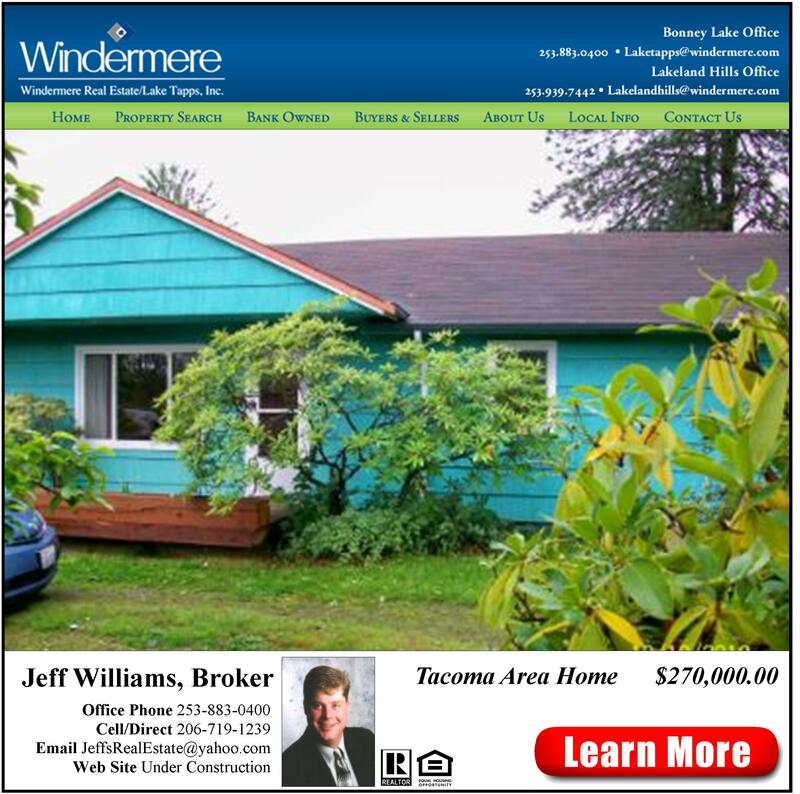 We also pride ourselves on also featuring extensive community links, foreclosure and short sale property information as well as helpful real estate resources to make your home buying or selling experience the best it can be. 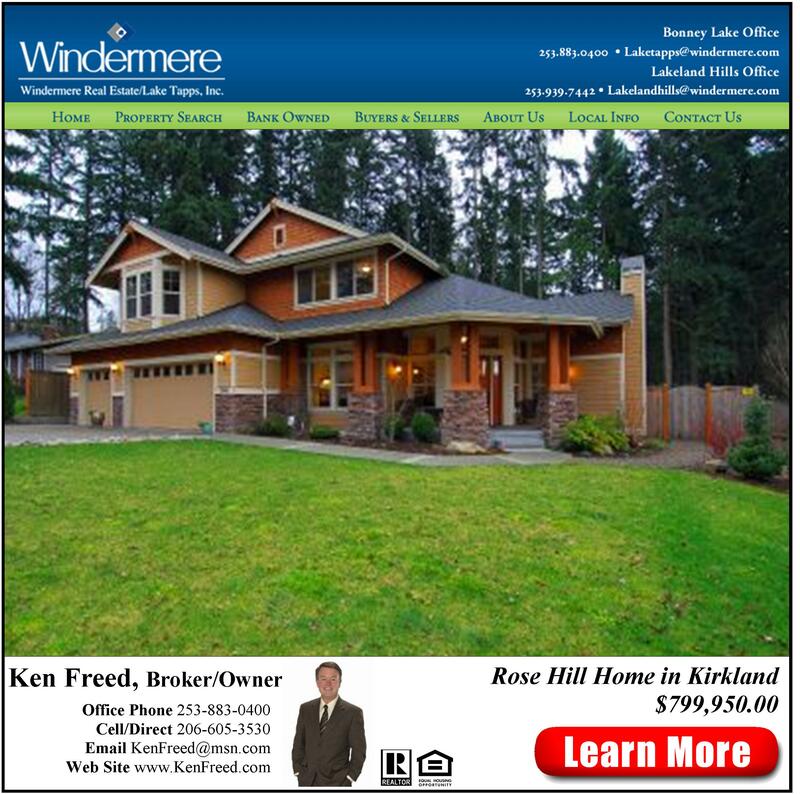 With more than 7,000 sales associates, Windermere is the largest real estate network in the West. 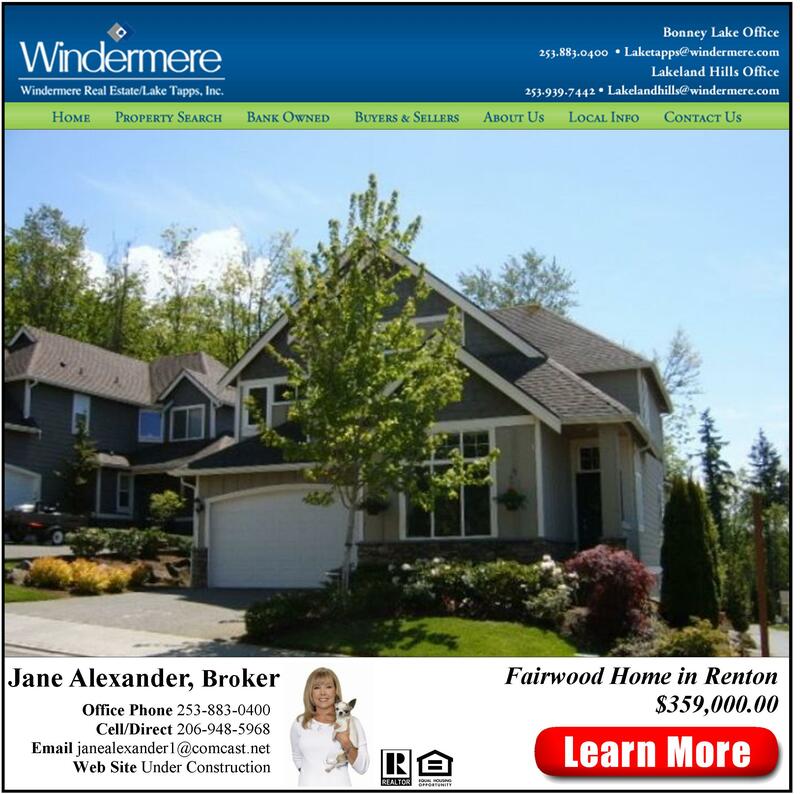 By using this extensive referral network, Windermere has the region’s biggest selection of qualified buyers and the most homes available for sale.